Hope all of you are having a lovely day. Mine is something sort of tense, and not for all the right reasons. Actually there are a lot of things happening in my life right now, which are making me feel overwhelmed. First, the good news, my brother is getting married this year, so whole lot of shopping is about to happen. On a more serious note, my MIL’s is about to undergo a surgery this very month, so matters are a bit tense in the home. Hopefully she will make it all right. Some more agendas, the annual appraisals, upcoming festivals, and my birthday are trying to make this into a whole lot happening month. Enough of bantering about the various situations in my life. And coming to some good product which I been using since recently. I have an eyeshadow trio (shown here), a French manicure set (shown here), and a lipstick (shown here) from Chambor and have mixed feeling about the brand. 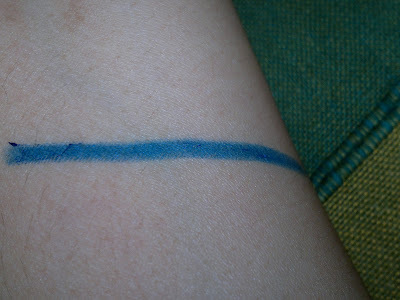 So, when I received this eye pencil in my February blisscovered box (shown here), I was not sure of my liking towars this. Price: INR 370 for 1.2 g of the product. Packaging is normal plastic case packing with a twist up pencil, which is sadly not retractable. 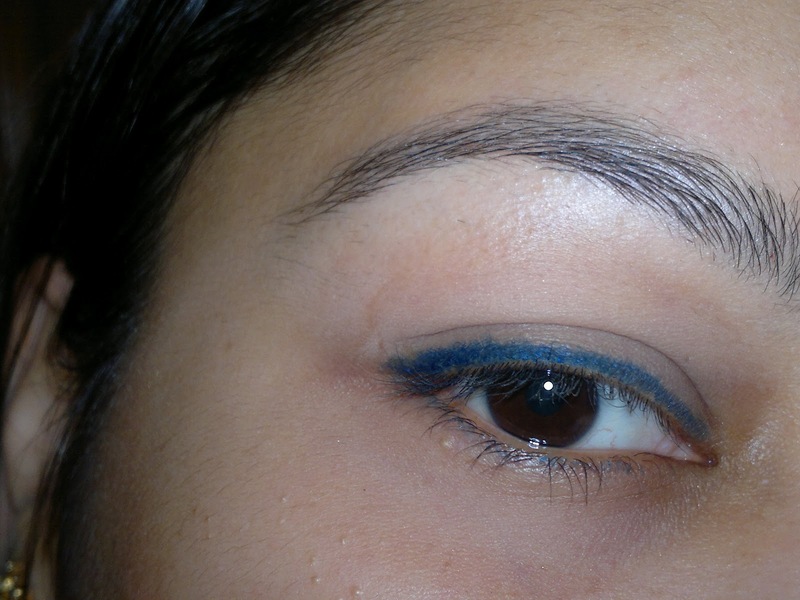 I got the eye pencil in shade “Forever Blue”. My experience has been fantastic with this eye pencil, just the right amount of color on the lids, which looks classy and sophisticated. Very wearable shade for offices. Coming to the most important part, the eye pencil is smudge proof, transfer resistant, and stays all day long on my eyes. So much so that it can be removed only with a makeup remover at night. 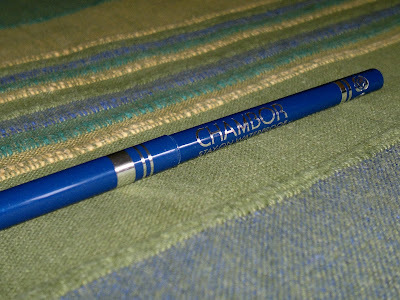 Overall, a very nice eye pencil. Product rating: A, available at all Chambor counters and via online shopping sites. Would definitely recommend this to everyone and would be purchasing it myself in other shades. 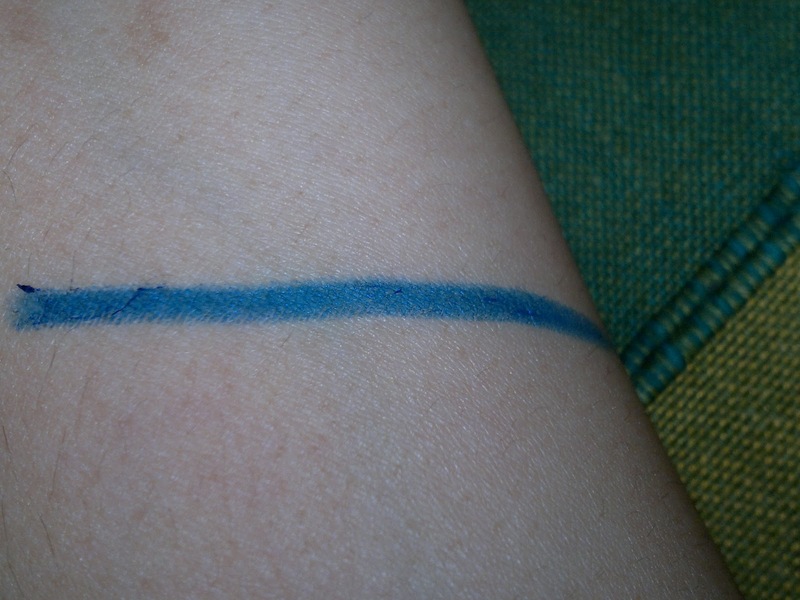 Very pretty shade, I like such blue liners a lot! Me doing PhD currently in Molecular Biology! :) Nice to know about you! You are multitasking! :) Joined via GFC, check my blog too! That was a different shade which I am gonna try. Nice review. Thanks Lavanya and welcome to my blog!! !